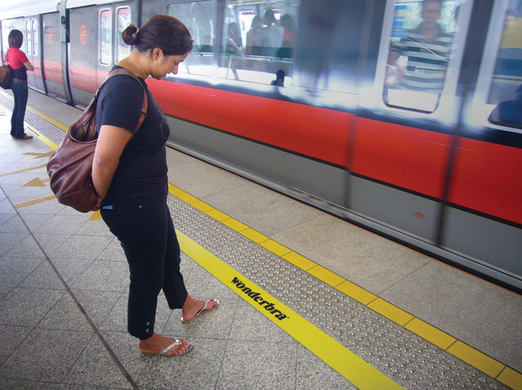 Flipping on old jokes about front-heavy women, Wonderbra added a yellow safety line behind the one that appears in metro stations. That's right, Miss Full-Frontal-Since-This-Morning. Get used to stepping a little further back, 'cause you know those boobies are gonna get in the way of the Five line. Reason #4304983098 why it's better to just embrace your surfboard self. Via the PhotoShelter blog. Agency: Euro RSCG/Singapore. That ad leaves me with a powerful sense of yuck.